Welcome to my website. The visitor will find here information about my writing. It also houses The Edmund Burke Society devoted to the study of Edmund Burke’s thought. Most of the information on the Edmund Burke Society subdomain has been brought across to this site. The Edmund Burke Society blog will remain open to maintain the commentary record. All blog comments will now appear on this my primary website. Keeping the two sites going was an unnecessary division. The same religious, political, social and cultural interests stand behind all my writing. The above header is of the Barwon Road (Lane Cove) gang taken by my dad during the Christmas holidays 1949/1950. Like the photo below it is one of my favourite photos from my idyllic childhood. It is truly a fifties scene. From left to right are Christine and John Allison, Michael, my brother, my best mate Pete Allison, me, Marie holding Narelle Wilson. 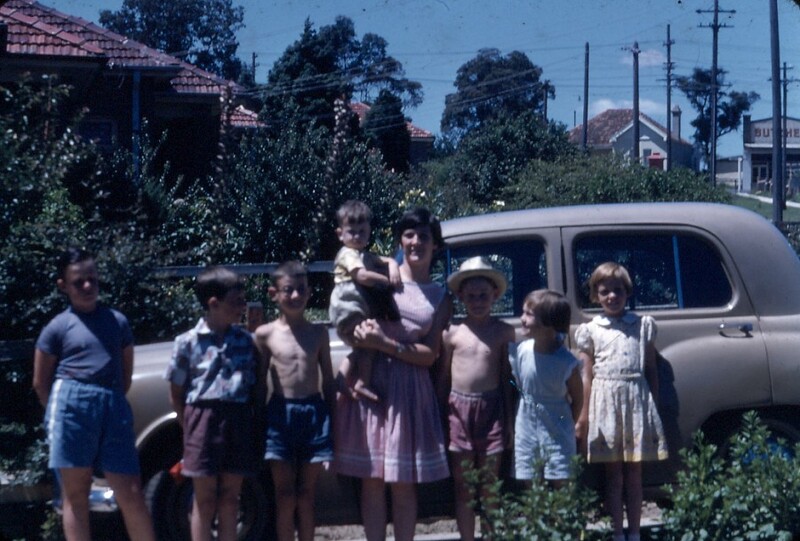 Summer in Sydney, Christmas 1955, the Barwon Road gang. Scooters, bikes, Saturday matinees, acrobatics, tree-climbing, wandering where you wanted free of risk – these were idyllic days of the fifties kids. This is a classic Australian Christmas scene. It’s one of my favourite photos from my childhood taken by my dad in December 1951. 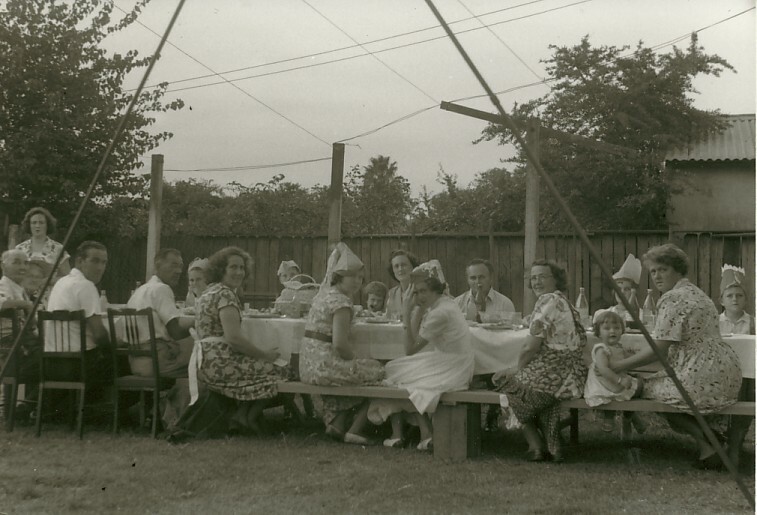 The Bert Wilson clan was gathered in my grandparents’ backyard in Baldry Street, Chatswood. There are some very outspoken aunts around that table. God Bless Australia, the land of the free!